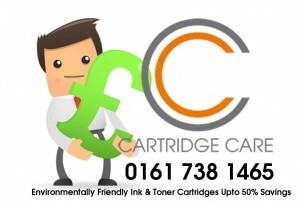 Quite often our customers ask us questions about re-manufactured cartridges. What are they? Do they work? Do they provide the same page yield as the original? Do they damage the printer? Can they void the manufacturer’s warranty? To provide an answer to these questions, let us explain a bit about the different types of cartridges: original, re-manufactured, refilled, recycled, compatible and generic. One important reason they carry the denomination of “original” is because they are manufactured by the holder of the patents that make it illegal for anybody else to manufacture these products brand new (plastic mold and all) or representing them as brand new. However, sometimes it is possible to have more than one original brand for a given machine. When it comes to remanufactured cartridges, the answers are not as black and white as we would like them to be. Companies throughout the world use different approaches and quality standards in remanufacturing products. Let us introduce a little bit of terminology to clarify this point. The term “Recycled” is a generic term that does not necessarily refer to the process or technology used to manufacture a product. It obviously indicates that the cartridge is not a new original cartridge but it has been produced reusing some parts and material from previously used products. In other words, any cartridge that has been produced using parts and material recovered from previously used products can earn the name of “Recycled”, regardless of the process or technology used. Compatible means that the cartridge will work with the specified equipment even though it is not made by the manufacturer of the equipment in question. In most cases this situation exists when the manufacturer of the original equipment does not have a patent on the design of the supplies or that patent expired. As with generic prescriptions, this allows manufacturers of generic supplies to make brand new compatible or generic cartridges. Examples of these are many ribbons for dot matrix printers, many Epson ink cartridges as well as many Canon ink cartridges. In our highly competitive and ever changing market, there are companies that will label remanufactured cartridges as compatible. It is hard to tell in all cases, but as a guide, here is a list of products where you can expect compatible or generic supplies to be available: copier toner, printer ribbons, fax ribbons and film, Epson and Canon inkjet cartridges. Most HP, Lexmark, Canon, and Xerox laser toner cartridges can only be remanufactured. Cartridge Care believes you have a right to use whatever you choose for your equipment. That’s why we carry both remanufactured, and compatible supplies. We further believe that you have a right to know exactly what you are purchasing and that’s why we clearly label and mark all compatible and remanufactured products. Unfortunately there are companies that will let you believe you are purchasing original cartridges when in actuality they sell you remanufactured or recycled products. If the price seems too good to be true for an good quality product, it is probably not an a good quality product. Ultimately, Cartridge Care believes that, when properly used, remanufactured and compatible products play a vital role in your office equipment supply strategy. They can lower your overall cost of ownership, keep prices in check for original products, help small businesses, and help the environment. If you have not used remanufactured products before, or if you have used them and were disappointed, we suggest you give our brand a try. Select a business machine that is not mission critical for you and purchase a remanufactured cartridge plus an original for backup in case you are not happy with the results (we know this will not happen but you do not yet!) When you see that our products are reliable, you can gradually switch to remanufactured products.